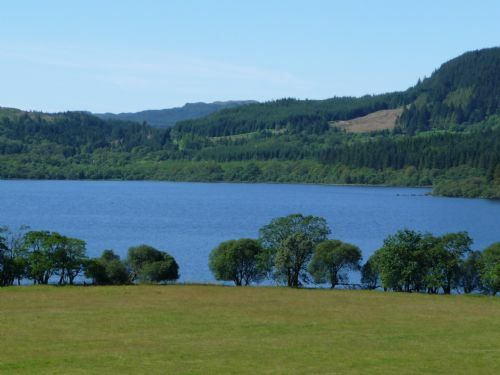 If you enjoy remote locations by a loch then this place is ideal. Large rooms and very clean. Not a bad thing to say about the place. In spite of the rain!!!!! We arrived at Bletchley Sable on Saturday in gorgeous sunshine and were we lead into a false sense of security, oh dear. 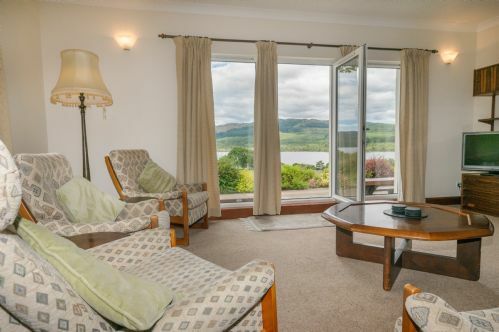 The cottage though is absolutely fa tastic with a big airy open plan room with lots of light and fabulous views over Loch Awe. The spiral staircase uptothe bedrooms and bathroom is beautiful, but not for everybody small children and the infirm would have problems but for us it was superb. From the Sunday until the Tuesday the rain was wall to wall and we watched the loch creep up the field in front of the cottage. We did venture into Invarary on the Monday but other wise we stayed indoors. The single track road is an adventure especially when you encounter vans and lorries coming the opposite way, thank goodness for passing places. Even in the rain the cottage is great with plenty of reading material and videos. My husband and I did walk to the Half-hour falls at the bottom of the road and were very impressed with the fast flowing water, usually very tranquil and slow, surprising what rain can do. We ventured to Oban on the Wednesday in glorious sunshine . We went left from the cottage and returned from the right a fantastic round trip, having a great day in the town of Oban. All in all despite the rain this was a very relaxing holiday and we would certainly come again. We had good service from Catriona and we must thank her for a fantastic week. Die große, komfortabele und perfekt ausgetattete Wohnung biete eine sehr schöne Basis zur Erkundung von Argyll. Besonders gut haben uns gefallen: Kilmartin, Crinan und zum Wandern der Ben Cruachan. Große Touristenströme haben dieses Gebiet zum Glück noch nicht erreicht. Einzige Schwierigkeit: die Anfahrt zum Haus erfolgt über einige Meilen auf einer tricky Single-Track-Road. Der Blick auf den See entschädigt aber dafür. From the moment we arrived we knew this was going to be a super holiday, Catriona the owner was so nice to us and was very helpful. The accommodation was 5 star and the view to die for. The wildlife encounters were extra special, I won't give to much away but the regular visits from an Osprey,Pine-martin and Red Squirrel were fantastic. This is a must for those that want to get away from the rat race and chill. Will certainly be returning. Spectacular scenery, very friendly hosts and immaculate accommodation. 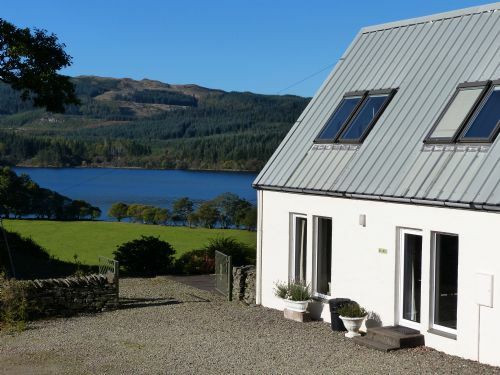 Our accommodation at Stable was immaculate comfortable and bright, and was located in a delightfully stunning setting with spectacular west-facing views over Loch Awe. We received a genuinely warm welcome from attentive and friendly hosts, Catriona Ile and Martin. Wildlife including Red Squirrel and Pine Marten visited the garden daily, and the sunsets from our lounge looking west over the loch, were breathtaking. We found the farm an ideal base for making day trips to see sensational scenery and visit the wealth of special places that are all around. The serenity and peacefulness of Blarghour farm makes you relax and enjoy life. A lovely restful place to stay. The only downside you need to consider is the distance from a main road and the fact the road in is not in the best condition. We didn't feel this changed our opinion of how nice The Stable is or spoil our break. We enjoyed a refreshing few days in Stable with the views, the rural location and the little deer we saw on the roadside driving home leaving us with such happy memories. Stable is roomy, comfortable and well-equipped and we will return. With only a few days, we visited Kilmartin Glen which is easily a full day out; Carnassarie Castle, the standing stones and rock art and a good walk along Crinan Canal - what a lovely place to find a cafe. The next day it had to be Glen Coe – just awesome. We enjoyed it very much, location was peaceful and beautiful, would have been better if we had the weather to go with it , but this is UK, owner very helpful, advise make sure your car is always full up with fuel and also make sure stoke up with food as location to fuel stations and supermarkets are a good 1hr drive. 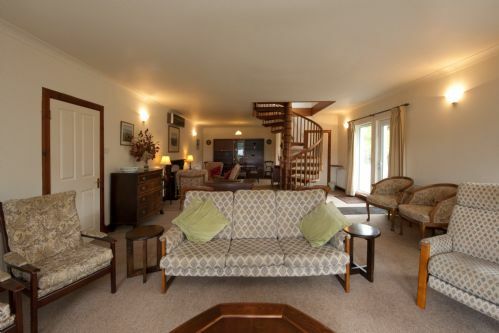 Spectacular scenery surrounds the very high standard accommodation on this 1st class welcoming farm. We relaxed and enjoyed a fabulous holiday at Blarghour Farm where splendid scenery started from the doorstep. We were lucky to see some breathtaking sunsets from our own floor to ceiling windows looking west over LochAwe. Using the farm as our comfortable base we were spoiled for choice when we took trips out to so many spectacular surrounding areas, which were all a photographer's delight. This is a holiday well worth repeating.